As a designer, I've worked full time, freelance and as a contract staff. Truth is, over the past five years that I took on my design career, it's not been a smooth ride all through. And I won't lie about it. 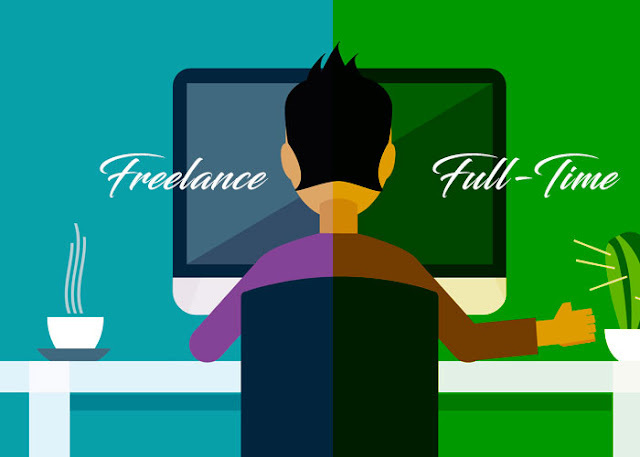 Both freelance and full time has its perks and success stories. But, at some point in each of them, you 're likely to find yourself wanting to be on the other side of the game. But, the problem is neither of the both. It's finding a balance and a safe space in any of them and taking full advantage of it. In the course of my career, I've worked with top brands, freelance creative teams, as a contract staff and found myself in the midst of people I never thought I'd work with with, and as an individual, I've worked on a good number of projects alone. At some point, I had to take a spot in the creative business and leverage on it. Having worked as a contract staff, I'll have to be sincere, it's just the perfect stand to take. Working full time like a freelancer. I wanted to take a break from the boss but not from the creative team. I wanted to focus on the project. No commute. Pays more than a full time Job. Less stress. And not miss out in the creative community. But, let's face the fact. Finding good contract gigs can be a pain in the neck. For the past couple of months, I've scouted the web and reached out to fellow creatives trying to get hold of any vital information on the best spot for contract gigs. And the thing about contract gigs is that you need to find a community that understands how design, and design business works and knows how best to play along with the both. And most job boards simply haven't figured out the best approach towards this. On a thursday evening, as I was scrolling through my timeline, I saw a post of a friend of mine about Toptal, and having been on the lookout, I decided to take my chances. And if you must know, it's one- if-not the best freelancing platform I've come across. Toptal is a broker for clients and contractors. And reasons why I had no reason to think about it was their approach towards selecting freelancers. Unlike most job boards that would let anyone in, Toptal takes their time to screen applicants and makes sure that only the best 3% gets in. Well, at first, I was not comfortable with it, but, on a second thought, it's a win-win situation for both the client and I. If anybody want to hire a freelancer from toptal, he/she 'll definitely be ready to afford what it takes. Somehow, I see it that Toptal is the one who does all the work while I take my time to work on the projects. And from my findings, they have wonderful blog posts that spans through every aspect of design. Toptal is the literal example of eating your cake and having it back. Having the best clients, best designers, best contents and design resources all in one place. Nothing beats that. I'm at my screening phase, and I just hope to make it through.